A star studded line-up has been revealed for this year's Forth on the Fringe at Edinburgh Playhouse, with tickets on sale now. The shows, taking place on Fri 4 and Sat 5 Aug, feature some of the best entertainers from the UK and beyond at the much-loved Edinburgh venue. 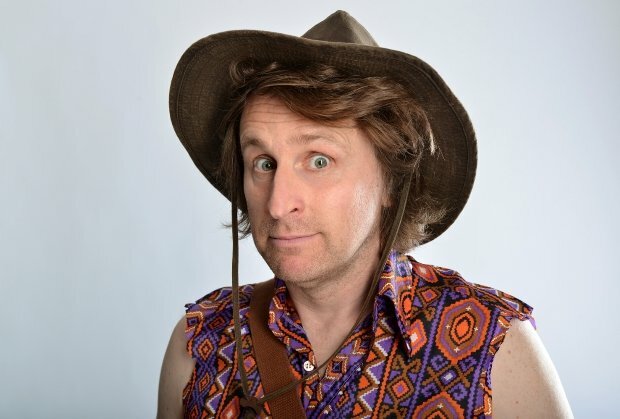 The opening night on Fri 4 Aug is topped by Milton Jones – he of colourful shirts and neurotic one-liner jokes – and Dubliner Jason Byrne. His countryman Andrew Maxwell takes part too, along with Craig Hill, Colin Cloud and Camille O'Sullivan. The stunning Soweto Gospel Choir bring 43 extraordinary voices to the party. Sat 5 Aug sees two shows take place, the 1.30pm show is topped by Kai Humphries and Patrick Monahan, and also features Rose Matafeo and Suzi Ruffell, whose acclaimed, engrossing comedy show 'Common' was a highlight of the 2016 Edinburgh Festival. The 8pm show on Sat 5 Aug is topped by Fringe stalwart Reginald D Hunter, with fellow stand-ups Ed Byrne and Stephen K Amos joining him, as well as Jimeoin and a special performance of 'Whose Line Is It Anyway'. With short, snappy sets and a varied cast, a night of top notch entertainment is practically guaranteed. Don't miss out. Forth on the Fringe takes place at Edinburgh Playhouse on Fri 4 and Sat 5 Aug, tickets are on sale now.